The original owner, King Farouk of Egypt (1920-1965), was the great-great-grandson of Muhammed Ali, and the tenth ruler from the Muhammad Ali Dynasty. The penultimate King of Egypt and the Sudan, Farouk held this position for 16 years and was a renowned collector of fine watches. Inheriting his love of watches from his father, King Farouk commissioned many pieces from the greatest watchmakers, and the Patek Philippe, reference 1518 bears witness to his refined taste. This model was launched in 1941, and it is estimated that only 281 pieces were created. The Patek Philippe reference 1518 is celebrated as the first perpetual calendar chronograph wristwatch produced in series by any watch company. Personalizing the piece as part of King Farouk’s collection, this watch has an engraving on the case back of the Royal Crown of Egypt, with its star and half-moon (also found on the Egyptian flag), and the letter “F”. Farouk’s father believed that the letter F was lucky for his family and began the names of his six children with this letter. 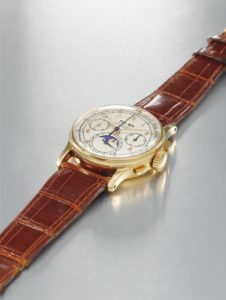 “King Farouk’s Patek Phillipe Reference 1518 is a crowning element of Christie’s Dubai watch sale next month – it is a storied piece with provenance from the Middle Eastern region and is already attracting tremendous interest from the region and beyond,” said Remy Julia, head of watches for Christie’s Middle East, India, and Africa. 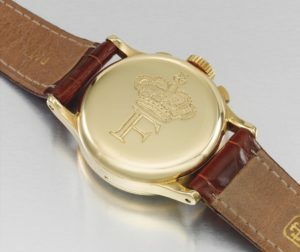 “Having previously found a home for this watch at auction several years ago, Christie’s is delighted to be trusted again to offer King Farouk’s timepiece to a new generation of collectors,” he added. Sold alongside King Farouk’s watch are the Patek Philippe Extract from the Archives confirming production of the present watch with gold indexes in 1944 and its subsequent sale on 7 November 1945. 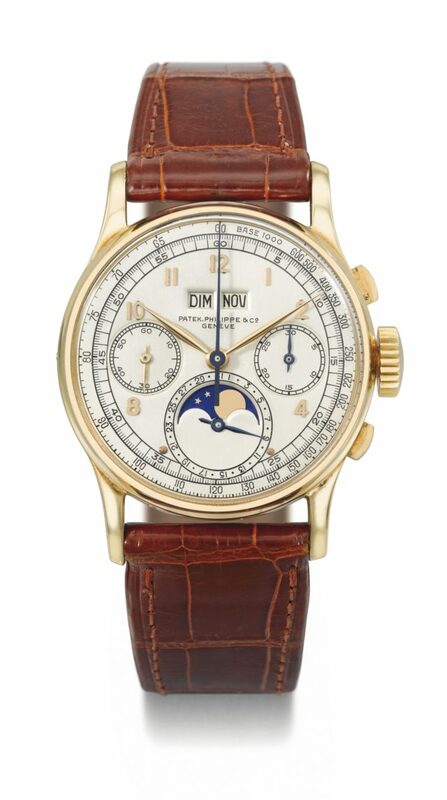 Increased interest in vintage watches and participation by collectors from the Middle East have seen the auction company’s watch auctions grow considerably in recent years. On February 2, Christie’s announced total global sales increased 26% in 2017 to £5.1 billion ($6.6 billion, up 21%), with overall sales in Europe and the Middle East totalling £1.5 billion, up 16% ($2 billion, up 11%).